Our new 2017 collection is now online (and will be in all stores by the 16th of January)! We can’t wait to share a few products that we’re really excited about this year. The Chapman kid’s bed combines the durability of natural steel with the comfort of an upholstered headboard panel for a one-of-a-kind design. It also has a sophisticated look that will grow with your child from tot to teen. We believe the best furniture comes from the best wood. The Lowell dining table is artisan crafted in West Virginia and features softly rounded table edges. 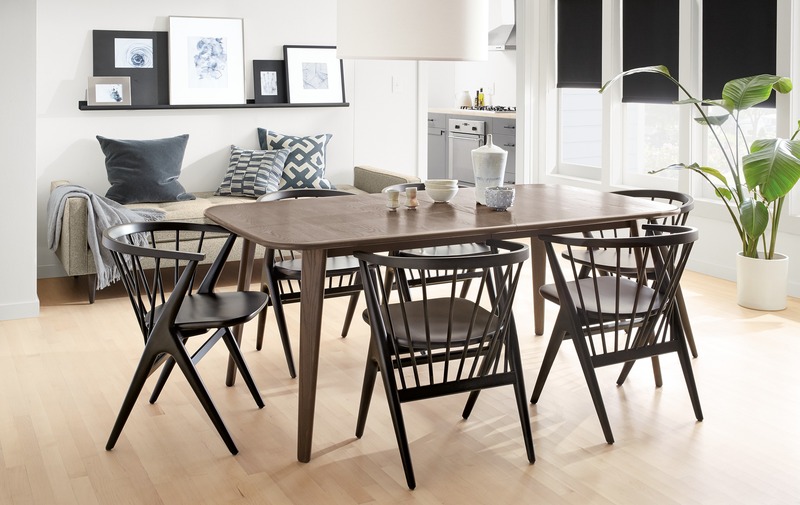 Plus, this modern extension table can seat up to 10 people! 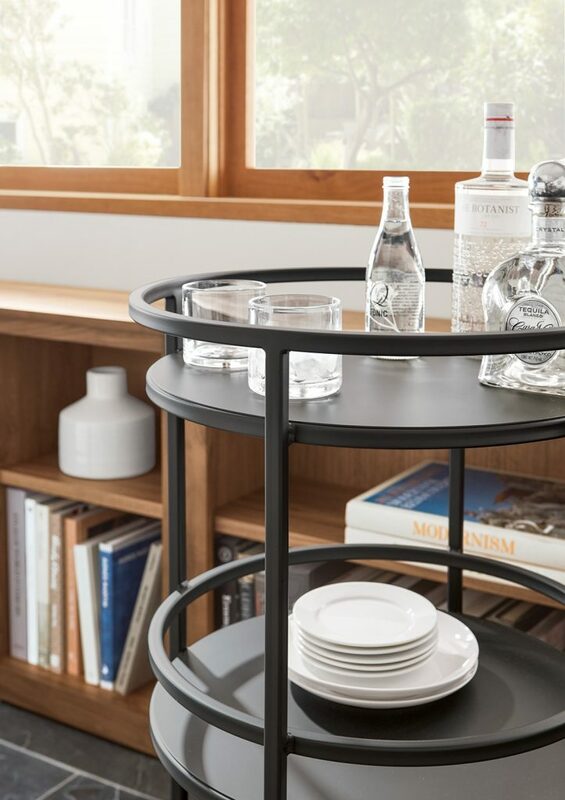 Made from natural steel, the Slim bar cart makes it easy to wheel coffee and snacks from room to room. 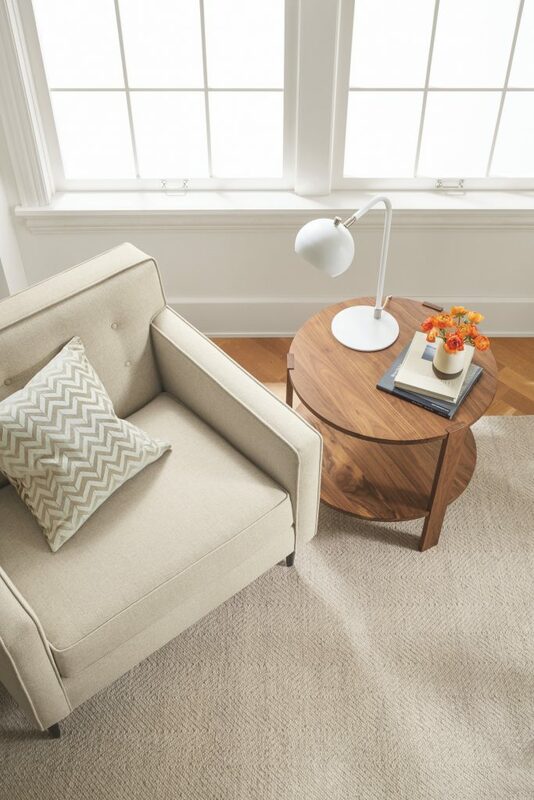 This versatile piece could also be used as an end table in small spaces! 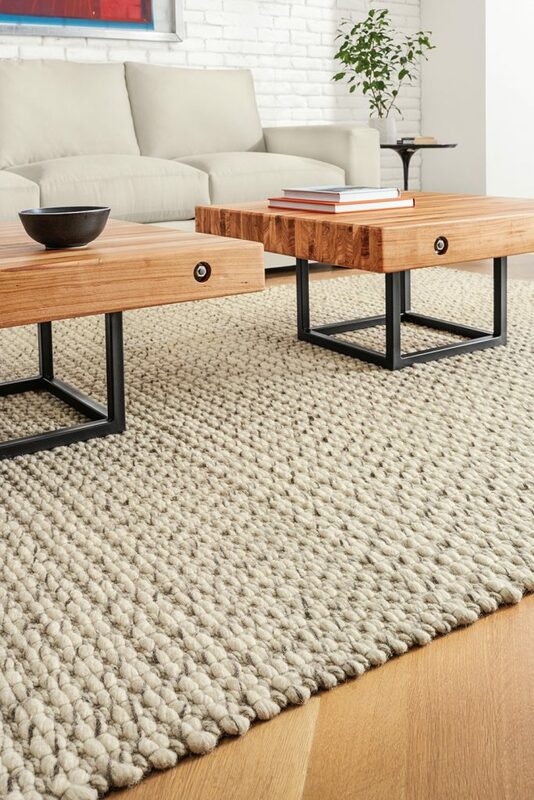 The Briggs coffee table is created from floor tiles of automotive stamping plants from across the Midwest and the bolts in each tabletop are from the original tile. Each is a one-of-a-kind piece that adds a unique statement to your home. We love Briggs in pairs! 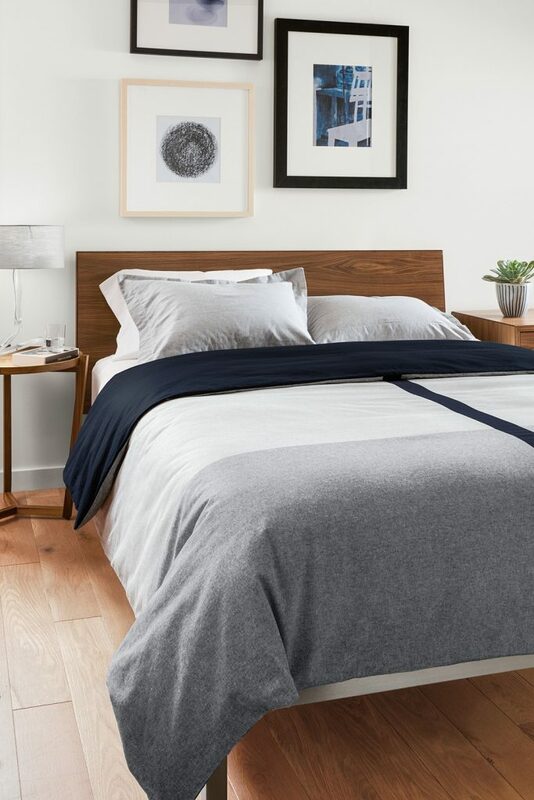 Cut and sewn by artisans at Louise Grey exclusively for Room & Board, the Converge duvet features reversible, geometric designs. The linen/cotton fabric blend provides year-round comfort and is easy to care for–simply machine wash! Mid-century design meets retro style in the new Camber table lamp. This powder-coated steel light is made in Vermont of the U.S. and imported materials and features an adjustable shade. Perfect for curling up with your favorite book! Want to see the rest of the 2017 collection? Head online to see everything new. Remember, we offer free design services if you need help adding a few modern additions to your space!